eCentral8 is the management website for all Conduce Mobile Aviation Solutions. eCentral8 was originally conceived as the setup portal through which eTechLog8 transmissions pass on their way to Airline back office systems via eGIS8. Over the years eCentral8 has evolved into the parental core of the companion applications that have developed alongside eTechLog8. Data repository for all transmitted information. 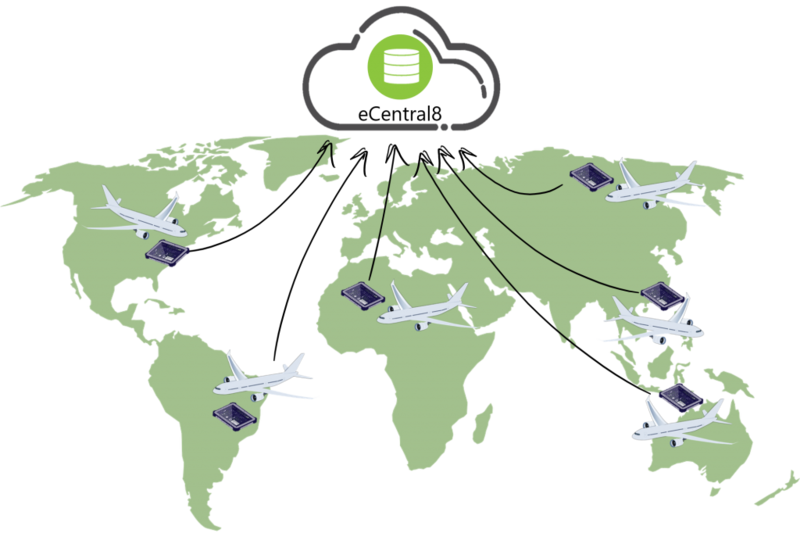 eGIS8 integration with many Airline industry standard Back Office MRO, Ops, Fuel and Archive systems. Flight Auditing configured by aircraft. Management of aircraft registrations and models. Administration of system configuration and users. Excel access to all eCentral8 tables via OData, for system wide reporting. Cloud based hosting using MS Azure with Amazon web services for backup and failover. Secured using HTTPS and 256-bit SSL encryption. 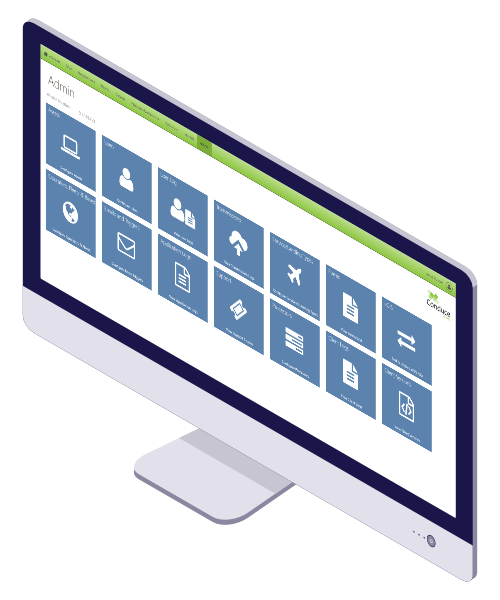 eCentral8 is airline, engineering and operations systems agnostic. Check out all our video demonstrations here.